MILWAUKEE, WI - (FACEBOOK: @TheComedyNews) Jewish baseball player Ryan Braun has confessed to using illegal steroids in preparation for his Bar Mitzvah in 1996. This comes on the heels of a story breaking that the All-Star outfielder for the Milwaukee Brewers also used performance-enhancing drugs on the baseball field. 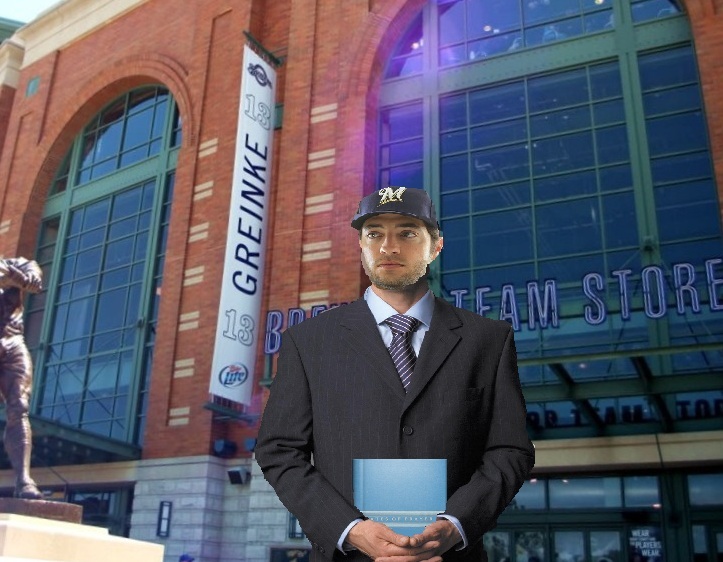 “Although I vehemently deny using performance-enhancing drugs during my baseball career, I do regretfully admit that I used steroids when preparing for my Bar Mitzvah,” Braun confessed at a press conference. When asked why he engaged in such reprehensible activity at the innocent age of 13, Braun explained that the pressure to be awake and alert at 10:00 AM on a Saturday to read Hebrew from the Torah really got him anxious. The press conference concluded with Braun also admitting that he engaged in underage alcohol consumption at the ceremony as part of the after-service Kiddush. Although investigators have not released the official list of illicit substances that Braun utilized in preparation for his Bar Mitzvah, many around the Mission Hills, California Jewish community have dismissed the allegations. Sources close to Braun allege that the then-13-year-old Braun likely didn’t use anything more serious than a little bit of Adderall, Mountain Dew extract, and the now-defunct soda, Surge. 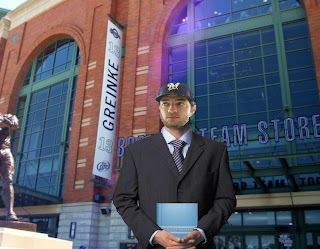 According to Rabbinal scholars, Braun’s illegal steroid use in preparation for his Bar Mitzvah has resulted in his adulthood being nullified. Brian Fishbach is a writer and comedian. He is also a Jewish Brewers fan from Milwaukee, Wisconsin. You can read Brian’s weekly satire news articles at www.TheComedyNews.com, and enjoy his late-night jokes at www.BrianFishbach.com. Join The Comedy News’ Facebook page for updates. FOLLOW THE COMEDY NEWS ON SOCIAL MEDIA! Herman Cain: "Pizza is Defined As a Sacred Bond Between Sauce and Cheese"
All Content Copyright 2004-2012 © Brian Fishbach All Rights Reserved. All content is fiction.. Awesome Inc. theme. Powered by Blogger.